My friend Cheryl is a fantastic cook. We have very different styles in the kitchen, but together, we can certainly make some magic. Anyone who knows me knows that I am a total control freak, and I simply don’t really do well with people in my kitchen. Cheryl is one of the few exceptions. We love to cook together, and when we get into the kitchen, it is like a choreographed dance that is as comfortable as can be. I will proudly admit that I have adopted many of Cheryl’s recipes simply because they are often the best I have ever had. 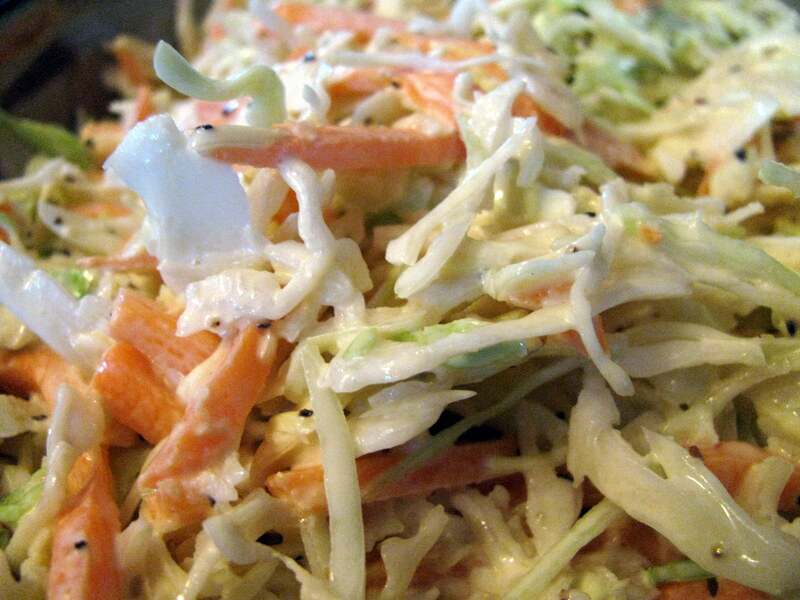 Cheryl’s coleslaw is no exception. 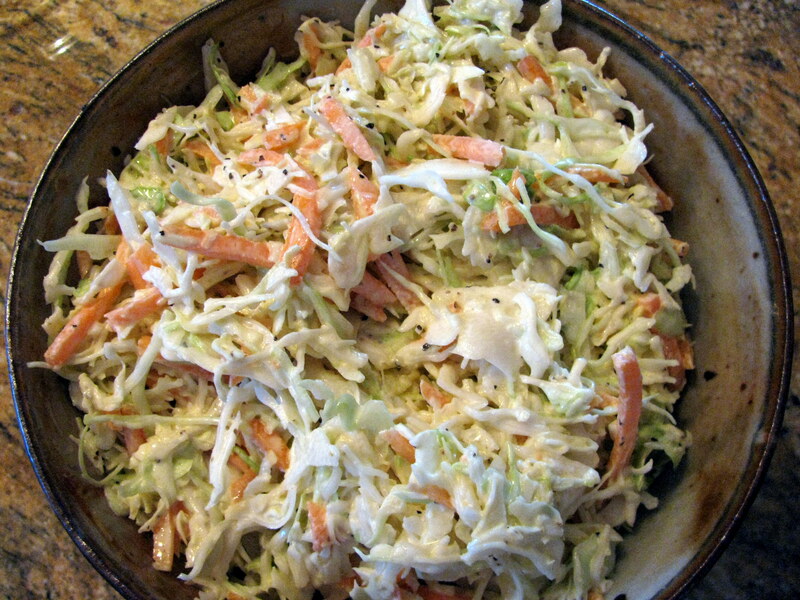 Both tart and sweet, this slaw is perfect with barbecue, hot dogs, and Cheryl’s famous baked beans. From start to finish, this recipe will take you about 5-10 minutes. Although Cheryl shreds her cabbage finely, I prefer a more coarsely shredded slaw. Mix all ingredients together well. Season to taste with salt and pepper. This entry was posted in Uncategorized and tagged barbecue, Cheryl Rhea, coleslaw, slaw. Bookmark the permalink. Ali’s 3 Star Rating: This is a three because I don’t care for slaw at all but I will eat Cheryl’s Coleslaw! I have made this for Pathers’ tailgating and it was a hit! Easy too!